The Raspberry Pi has emerged as a goldmine for DIY hackers who have created items ranging from a disposable GIF camera and mini Lego Mac to various types of robots and a walkie-talkie using the highly affordable, card-sized computer. Now, another DIY enthusiast has created something truly impressive in the form of a mouse that doubles up as a full-fledged computer. Aptly called ‘The Computer Mouse’, the device has a small colour display, a slide-out keyboard, and of course, a fully-functional mouse which also forms the main body. A YouTuber, who goes by ‘Electronic Grenade’, has created the fascinating device which looks like an oversized mouse at first sight with a tiny screen fitted ahead of the wheel button. A Raspberry Pi Zero W with a single-core 1GHz CPU is at the heart of ‘The Computer Mouse’, coupled with 512MB RAM. The tiny computer also brings features such as Bluetooth and Wireless LAN to the table. The entire mouse body, which is quite big compared to a regular mouse, was 3D-printed to create space and sockets for fitting in the keyboard, buttons and other parts. The inspiration behind ‘The Computer Mouse’ was another DIY project which saw a Raspberry Pi being fitted inside a keyboard to create a plug-and-play computer. ‘The Computer Mouse’ comes equipped with a 1.5-inch OLED display with a resolution of 128 x 129 pixels, while a wireless keyboard sits on the slide-out tray at the base of the device. Lastly, there is a power button at the edge that is used to fire up the tiny computing machine. 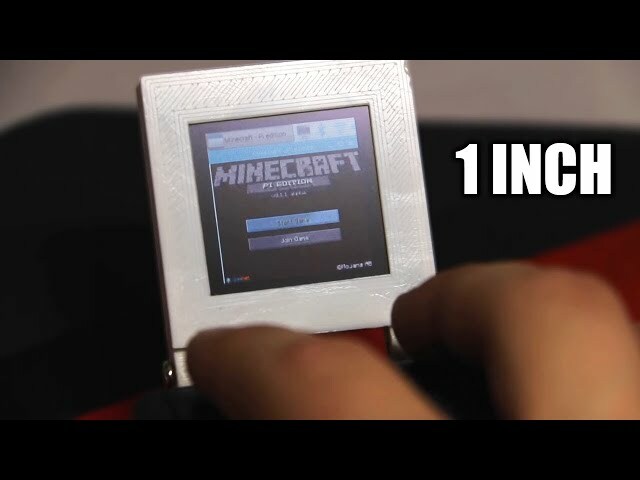 As far as usage goes, ‘The Computer Mouse’ can be used to accomplish a host of tasks such as punching out a text file using the slide-out keyboard or playing Minecraft. Just don’t expect it to do heavy tasks considering the computing prowess of the machine. And in the words of the creator himself, ‘The Computer Mouse’ is not a very practical device. Why? Well, let’s start with the fact that ‘The Computer Mouse’ takes around 40 seconds to boot up after turning on the power switch. Nonetheless, it is an ingenious creation which deserves some praise and recognition for the efforts of its creator.